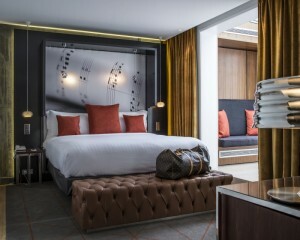 The term “Boutique hotel” was coined in the US and is used mostly there and in the United Kingdom to describe hotels with 10 up till 100 rooms. As the years go by, this term has taken hold worldwide. Through our personal selection we are sure to recommend you some of the best boutique hotels in Paris. The boutique hotels are characterized by special themes based on specific topic aiming to increase the customers’ desire. The denomination is not given necessarily to a 5 stars hotel only. For this reason we offer you 6 different hotels which base their strengths on their excellent hospitality and accommodation quality. Hotel de Banville is located in the residential and quite 17th district of Paris. Even though it is not exactly in the center of Paris it is just 15-minute walk from Arc de Triomphe and the Champs-Elysèes. The building has a contemporary style and the décor, not too glitzy, gives a sensation of modernity. The rooms are soundproofed and equipped with all the new amenities. Place du Marèchal-Juin is just a few minutes from the hotel, there many restaurants and shops are waiting for you. Even though Hotel de Banville is a boutique hotel in Paris, its prices are kept low starting from 107€. For this high quality hotel this is well worth it. Hotel Keppler is a 2 minutes’ walk from Champs Elysèes and is set in a classic style building keeping a traditional environment. 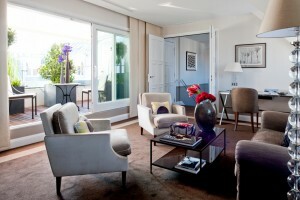 The suites, in this boutique hotel in Paris, are simply amazing. They are similar to a private apartment thanks the size and the intimacy they give. They are decorated with black wood floor and molded ceilings. Luxury bathrooms and TV complete these suites. Hotel Keppler has also a garden which is available to enjoy in both winter and summer. A fitness center and a sauna are available for a relaxing afternoon. Located between Avenue George V and Montaigne, Hotel Marignan was renovated in 2012. The rooms are luxury and in the same time look like contemporary accommodations decorated with marble and wood furniture. Some rooms have terraces which have a view of the Eiffel Tower. From these terraces you will have your breakfast meanwhile admiring the Parisian roof tops. At Hotel Marignan the restaurant provides fine French cuisine available for dinner and lunch with typical wholesome products. 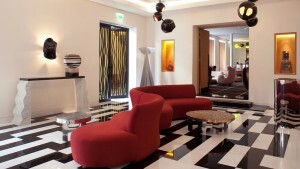 The l’Hotel is located within walking distance from the Saint Germain des Pres and Mabillon metro stations. L’Hotel was built in 1828. The individually designed rooms, special fabrics, original works of art, and spacious bathrooms will have you feeling as if you’re staying in a sanctuary. L’Hotel has the Hammam Pool and the Afternoon Tea room. The pool and the steam room are open every day from 8am to 9.30pm. After a day-walk in Paris, why not relax a while in the warmth of hot water? In the Afternoon Tea Room, you will have the chance to try selections of French pastries, delicate finger sandwiches and tasty scones with strawberry jam. 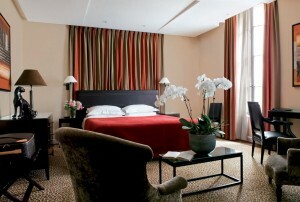 L’Hotel is fine boutique hotel in Paris. The price range goes from 350 € to 800 €. Hotel de Sers is a 5 stars boutique hotel located in the 19th district, just 400m from Champs Elysees and a 5-minute walk from George V and Alma Marceau metro stations. The rooms feature very high quality materials, as the Italian marble in the bathrooms or the rosewoob for the furniture. 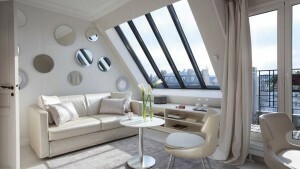 Many suites have simply an amaizing view all over Paris. The Hotel de Sers restaurant, which overlooks on a delighted courtyard, has a delicious French cuisine. Hotel de Sers offers also a sauna and hammam where the relaxing will be guaranteed. Special massages can be also organized. Le Burgundy Paris hotel is located just 70 meters from the famous shopping street Rue Saint-Honorè and few minutes walking from Le Jardin de Tuileries and Opera Garnier. 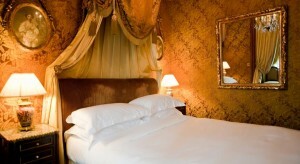 This hotel boutique in Paris has a mostly classic style which recalls the typical chic Parisian atmosphere. Some modern decorations blend in perfectly with the décor, in order to give an innovative touch. The rooms, made with precious fabrics are very cozy and charming. Eight kind of very spacious suites and 1 apartment are avalible, which with their privacy and size will give you a sensation of isolation even though you are in the center of Paris. The Michelin Star restaurant, Le Baundelaire, is open for lunch and dinner. Furthermore the guests will have free entry to the Spa including an indoor swimming pool a fitness room and a Hammam. 3 more articles you might be interested in. The Musée de l’Orangerie is an art museum located on the Jardin des Tuileries and is home to some of the most significant impressionist paintings from the 19th and 20th centuries. The Musée de l’Orangerie hasn’t always been the magnificent impressionism/post-impressionism art museum it is today. As its name insinuates, the museum first housed orange trees found on the garden of Tuileries. The orangery was built in 1852 by Firmin Bourgeois and completed by Ludovico Visconti. The museum didn’t open as an art museum until 1927, when it first displayed Claude Monet’s infamous Nymphéas paintings of water lilies. Now, the Musée de l’Orangerie houses eight of Monet’s Nymphéas paintings as well as paintings from artists such as Paul Cézanne, Henri Matisse, Pablo Picasso, Pierre-Auguste Renoir, Chaim Soutine, Henri Rousseau, and Alfred Sisley in the Jean Walter and Paul Guillaume collections. For a more complete history, check out the Musée de l’Orangerie Wikipedia page. The Musée de l’Orangerie is home to some of the most wonderful paintings by Henri Matisse and Chaim Soutine, but the must-see pieces are Claude Monet’s eight paintings from Nymphéas. It’s likely that you will see these paintings first since they are located on the first floor of the museum. As you walk into the all-white, oval room, you will be taken aback by the impressiveness and grandeur of the first four paintings. Blues and violets curve with the walls, almost as if Monet painted his water lilies right in that room. Moving closer to get a more detailed view, the image no longer looks like water lilies in a pond, but rather looks like a mélange of thick violet paint strokes. Stepping back, you see how perfectly Monet has depicted natural light within his work. It is impressionism at its finest. Walking downstairs brings you to the Jean Walter and Paul Guillaume Collections. 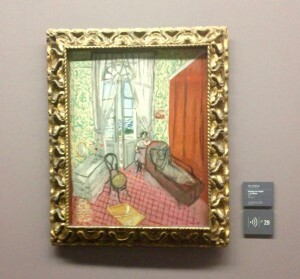 Here, you will find beautiful paintings from Matisse, Cezanne, Soutine, Rousseau, Picasso and others. These paintings are organized more traditionally, each work within a frame hung on the wall. Thanks to a fair selection of paintings from each artist, you will see how their styles and subjects changed over time (or, for some artists, how these things remained the same). The Musée de l’Orangerie houses some truly great works of art from the 19th and 20th centuries. The Musée de l’Orangerie offers tickets for Independent Tours, Guided Tours, and Group Tours. The museum is free to visitors under 18 years old. Guided Tours are available in English and French at different times throughout the day. A timetable is available on the Musée de l’Orangerie website. To set up a Group Tour at the Musée de l’Orangerie you must contact the museum directly via telephone or email. Contact information can be at the bottom of this page. Check out our Culture and Arts ticket package to begin planning your visit to some of the best art museums in Paris, including the Musée de l’Orangerie. The Musée de l’Orangerie is located on the Jardin des Tuileries on the bank of the Seine in the 1st arrondissement near Place de la Concorde. To get there, you can take the metro Line 1 to the stop Concorde and then walk across the Jardin des Tuileries to the museum. Or, take either Bus 94 or Bus 72 to the stop Concorde and walk to the Musée de l’Orangerie from there. To plan a route via public transportation, use the RATP website for help. The museum is accessible by car, as well. There are three car parking lots located near l’Orangerie: Jardin des Tuileries et Carrousel, Rue du Mont-Thabor, and Rue des Pyramides. 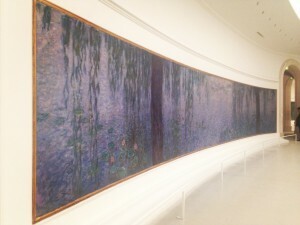 The Musée de l’Orangerie is truly a must-see attraction in Paris.